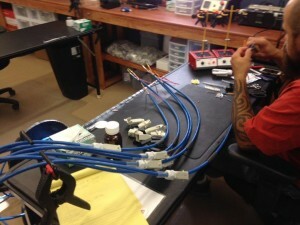 Cable Types – Hartline Supply Inc. These are 12 fiber Singlemode breakout cables with TFOCA II termini installed and ready for coupler connector installations. These Composite cables are getting Harting connectors installed. 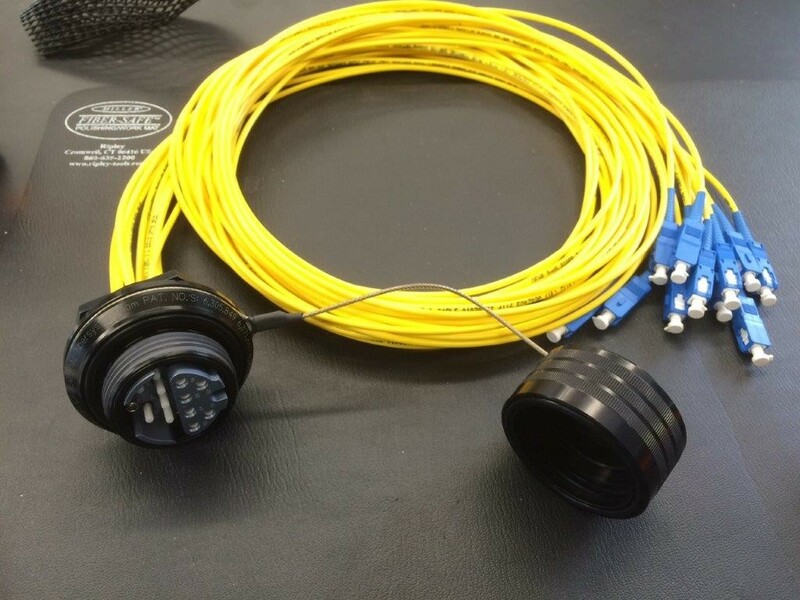 This photo is showing a special cable assembly with a 12 channel TFOCA II receptacle on one end and 12 Singlemode breakout fibers installed. The other end has individual SC connectors installed on each fiber. 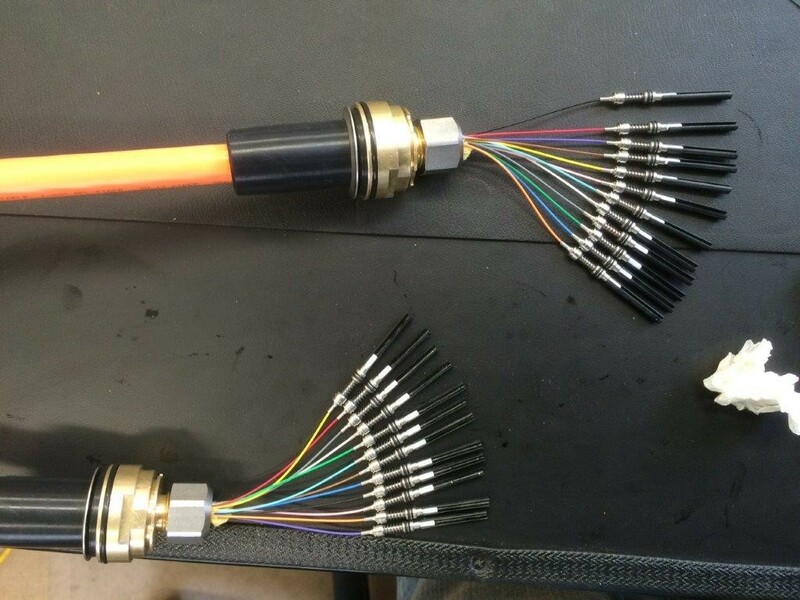 This photo shows three different types of connectors. 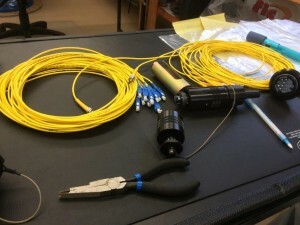 There are TFOCA II connectors, a receptacle, and LC connectors, as well as some small hand tools used to assemble the connectors.